1) The two long streams are broken in half by a short eighth note section. 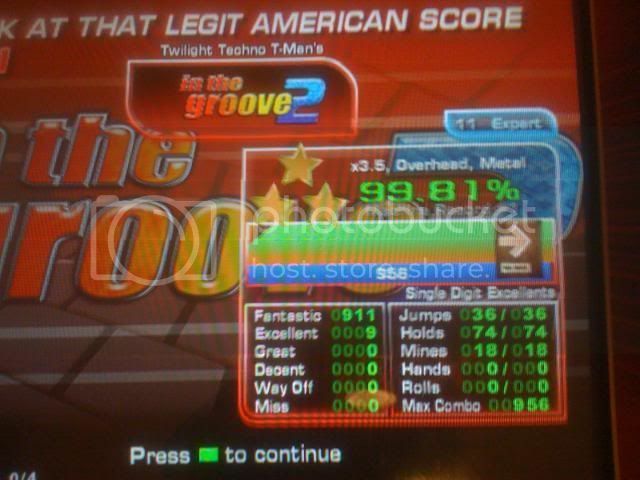 2) 2 sections are taken out before the second long stream and replaced with easy eighth notes and quarter jumps. Enjoy this file everyone, it's a great song! *Update* Expert difficulty changed to an 11. Hard difficulty is a 10. **Update** After playing it again I decided to change a couple things in the Expert chart to make it a little more interesting at the end. Also changed the long streams at one part to make them coincide better with the music. New file is available for download. Well if it was offsync then the stream would also be hard to FA so I don't know what to tell you. I'll check it out on an actual machine today though. Hmm i've made a stepchart to this too! I'm gonna check yours out. Very nice stepchart, I enjoy it alot :D Let me know if you make more beauties like this!